Tara Brown discovers the measures Scientologists take to avoid external scrutiny; plus, Could Australia’s obsession with so-called “wellness” actually be causing us harm? ; and, an exclusive interview with funny-man Hamish Blake and is author wife Zoë Foster Blake. 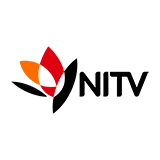 60 Minutes was broadcast on Channel 9 at Monday 18 February 2019, 20:34. 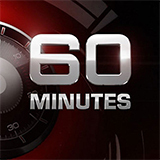 60 Minutes is an Australian adaptation of the American news and current affairs program of the same name. Since the first episode in 1968 the show has become a reference in the Australian broadcasting industry, just as its American counterpart has become for American TV. The careers of now-famous Australian journalists and media personalities such as Ray Martin, Ian Leslie and Jana Wendt have all been considerably boosted by their work for 60 Minutes. The extent to which 60 Minutes has revolutionized the coverage of current affairs on Australian television over the years is confirmed by the numerous awards and award nominations the show has received. These include five Logies, a Special Achievement Logie and several Logie Award nominations.